Transparent - allows for visual inspection. Thick film for tear and stress resistance. Keeps cartons and boxes together during transit. 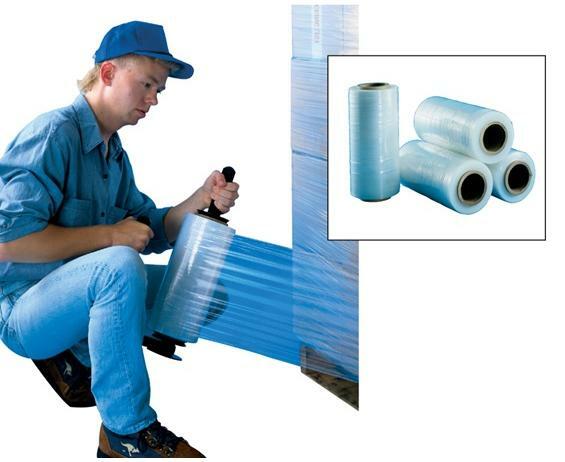 Prevents damage to pallet loads. Applies easily, quickly - just a simple "twist of the wrist," and the film wraps tightly. No tools required. Excellent cling characteristics. Thick film handles rough truck handling. One roll wraps 20 or more 40 x 60" pallets. FOB Shipping Point. 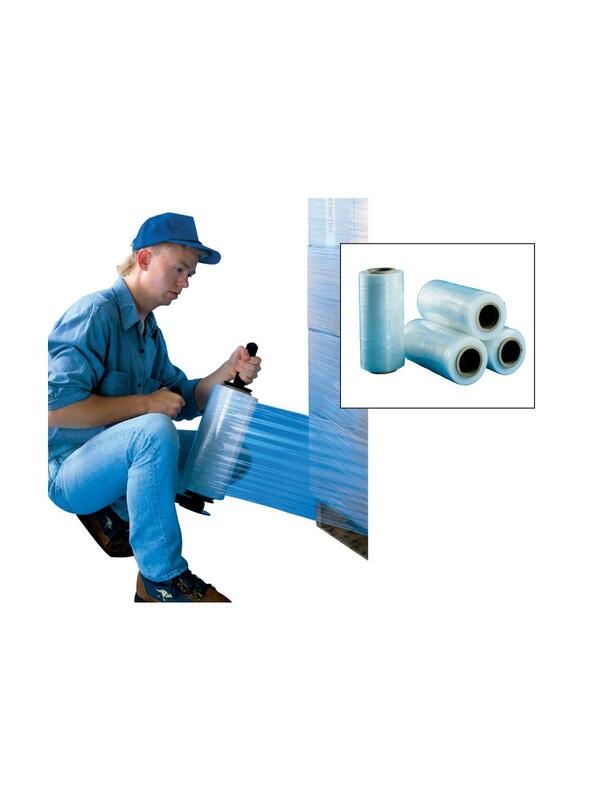 See Related Items tab for Stretch Wrap Dispenser.